Whether you’re in the marketing industry or not, the term “inbound marketing” is gaining popularity, and the terminology associated with inbound marketing can be a bit confusing. In this post, we will explain and define common inbound marketing and analytics vocabulary terms. Inbound Marketing: A complete strategic marketing system and philosophy where high-quality content is created and marketed on the internet to make it easy for any prospects to find. In this style of marketing, prospects looking for your niche or industry actively find your company and are interested in what you have to say, making them a qualified lead. In contrast, traditional marketing such as cold calling or radio and print advertising pushes your message in front of people who may not be interested in your product or service. Inbound marketing is like a puzzle with many pieces, including SEO, social media, email marketing, blogging, pay-per-click and website landing pages, all working together in sync to help promote your content offers and help convert prospects into leads. 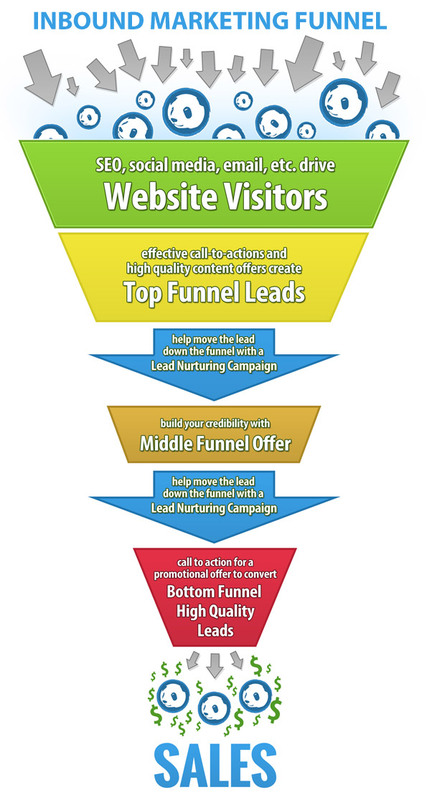 Inbound Marketing Funnel: An inbound marketing funnel is the path that a prospect takes from their initial contact with your company to their final conversion into a customer. A prospect can enter the funnel at any stage and is systematically nurtured down the funnel with a goal to convert them at the bottom funnel offer. Call-To-Action (CTA): A call-to-action is the graphic or text used to get a person to click to convert on some type of offer. There are many different ways to create a CTA and it is critical to perform A/B testing (described below) to ensure you have an optimized CTA with a good click-through rate. 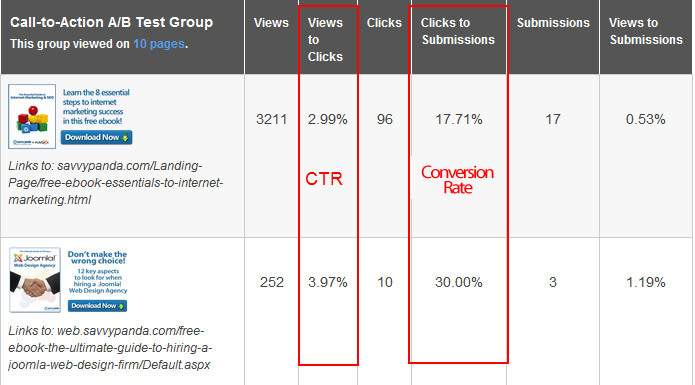 Click-Through Rate (CTR): The click-through rate describes the percentage of people who clicked on a CTA or ad versus the number of people who saw the CTA or ad. The higher the click-through rate, the better. 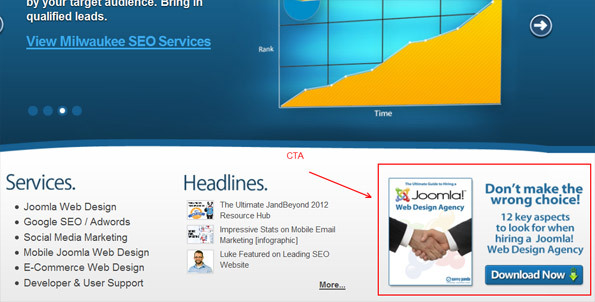 Generally, a CTA will be linked to a landing page (as described below). Landing Page: A landing page is a specific page tailored for a specific product or service and a specific type of visitor with a goal of converting the visitor on some type of offer. Creating a successful landing page is a bit of a science and also requires A/B testing to optimize the conversion rate. You can learn more about how to create a successful landing page in another blog post: Website Home Page Vs. Landing Page: What's The Difference? Premium Content Offer: A premium content offer is some type of high-quality, in-depth content that you can offer for free to help convert people at certain stages of the inbound marketing funnel. Examples of premium content offers include e-books, checklists, webinars, podcasts, whitepapers and case studies. Basically, anything that provides a good educational resource to someone who may be interested in your particular industry or niche can be used as a premium content offer. Top-Of-The-Funnel (TOFU) Offer: The TOFU offer is some type of educational content that is fairly general in terms of content and interested audience. This will be the initial offer used to educate the prospect (no sales promotion) about the general concepts of your industry and convert prospect visitors into leads, thus placing them into your inbound marketing funnel. Middle-Of-The-Funnel (MOFU) Offer: The MOFU offer is the second premium content offer that will be marketed to prospects or leads in the inbound marketing funnel. The goal of the MOFU offer is to qualify and establish credibility with the lead. Here you will "weed" out any leads who are not quite interested in converting to a customer yet. Anyone who converts on your MOFU offer should be considered a qualified lead. Bottom-Of-The-Funnel (BOFU) Offer: By the time the lead reaches the BOFU offer, they are qualified and ready to take the next step in the sales process. Here, your BOFU offer will be some type of promotional offer such as a free consultation, discount or promotional deal. Conversion Rate: Conversion rate refers to the number of people who successfully filled out a form on your website to convert into a lead versus the total number of people who visited the page. The higher the conversion rate, the better. However, every industry and niche is different, so tests must be run to optimize your conversion rate. A/B Testing: An "A/B test" is used for optimizing a piece of content or a graphic to increase the conversion or click-through rates. 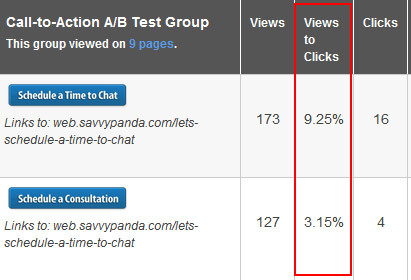 In an A/B test, two or more different styles of content (call-to-action, landing page, advertisement, etc.) are shown randomly in a space. Each piece of content would have slight variations and, over time, you'd be able to track which piece is performing better. Prospect/Website Visitor: Anyone who visits your website is considered a prospect or visitor. The fact that they actively decided to visit your website to see the information you're providing already qualifies them as a prospect of your industry or niche. The goal with a prospect is to convert them into a lead using strong calls-to-action, optimized landing pages and great content offers. Leads: A lead is someone who visited your website and successfully filled out one of your forms for either an offer or a contact page. Once a prospect is converted into a lead, they are in the inbound marketing funnel and will be nurtured down the funnel with a goal of them converting at each funnel stage (TOFU, MOFU and BOFU). Lead Nurturing Campaign: Lead nurturing campaigns are used to "push" the lead down the inbound marketing funnel and are the connecting "bridges" between each funnel stage. Lead nurturing campaigns should be specifically tailored for the particular stage the lead is at, while also including calls-to-action for them to move down the funnel and convert on the next offer. Unique Visitors: A unique visitor is the count of how many different people have visited your website. For example, if 10 people each visit your website four times in a month, the unique visitor number will be 10 (not 40). Unique visitor count is a useful metric for discovering how many different people are viewing your products or services. 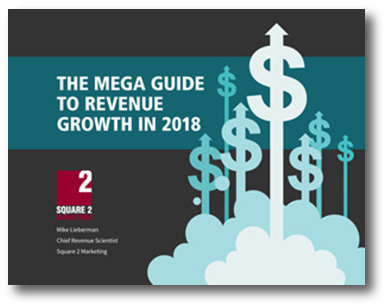 Typically, the higher the number of unique visitors, the better, because that means more people are seeing your company. Visits: The visit metric is the total number of times people have visited your website, whether they're returning or new visitors. For example, if 10 people each visit your website four times in a month, the visit metric would be 40. Bounce Rate: Bounce rate is the metric associated with when a visitor lands on your website and leaves on the same page they landed on. This typically means they weren't finding what they were looking for or the page was not optimized for usability. The lower the bounce rate, the better. Although different for every niche and page section, in general, having a bounce rate under 35% is considered good and under 45% is considered just OK.
Exit Page: The exit page is the page on which the visitor decided to leave your website for another one or to close the window. Exit rate is not necessarily a bad metric; however, on certain pages with certain goals, exit rates can help you know which pages need to be optimized to keep visitors on your site longer. 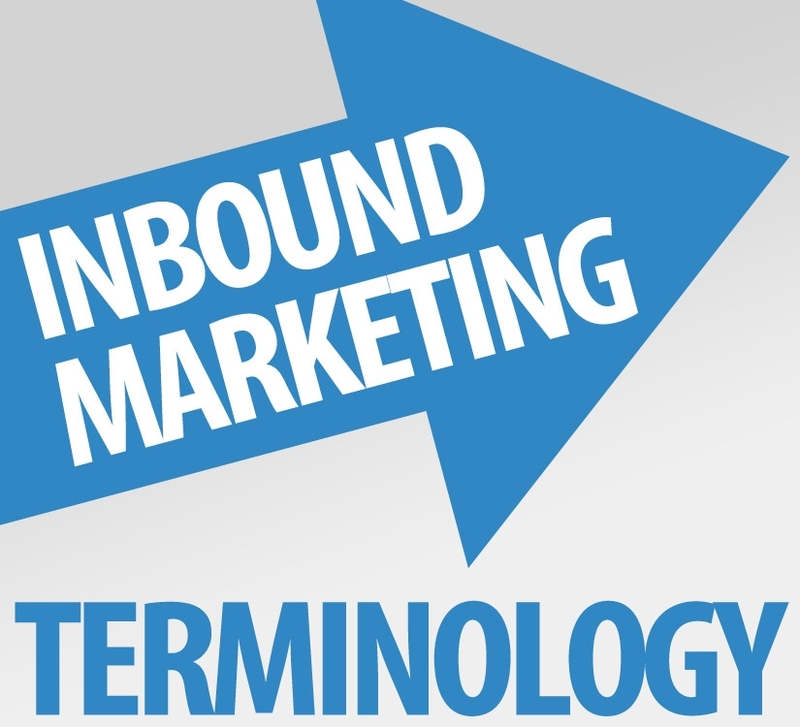 These are just the most commonly used terms; many other terms exist in the inbound marketing and internet marketing world. Do a simple Google search for any particular term you're interested in learning more about [term + "definition"] and a number of results should come up.